When the fine wine bubble burst in China towards the end of 2011, I thought surely Italian wines would quickly fill that space left behind by those disenchanted by Bordeaux. Nearly five years later and I am surprised that the space that should have, could have, belonged to the Italian wine elite has been claimed by the Burgundians and the Spaniards. Italian wines were in an ideal position – it ranked among the top five wine imports for both China and Hong Kong, with plenty of Italian restaurant outlets for F&B support. It is still the fifth most important wine country for imported wines in China but it lags far behind the top four: France, Australia, Spain and Chile. In Hong Kong, Italian wines have moved down to 6th place, lagging behind France, Australia, United States, Chile and Spain. In the top 1% world of fine wines, the ubiquitous Chateau Lafite Rothschild from Bordeaux has been replaced by the much rarer Domaine de la Romanee-Conti (DRC) from Burgundy, a wine that makes a tiny fraction of the 200,000 bottle annual production of Lafite. Prices for Romanee-Conti, the monopole grand cru wine of DRC, are many more times the price for top Bordeaux like Lafite or Mouton. The first growth Bordeaux establishment like Haut Brion, Margaux and Latour are now being challenged by Burgundian collectibles like Rousseau, Roumier and Leroy. Despite the challenge, there is still room for top Bordeaux since the volume of Burgundy is so small that it could never monopolize the fine wine category. There was every reason to believe that the wonderful Brunello di Montalcinos, the great Barolos and Barbarescos, not to mention the Super Tuscan collectibles like Sassicaia, Ornellaia and Masseto, would take their place among the Bordeaux wine elite in wine cellars across China and Hong Kong. After all, Italian restaurants are the most popular European cuisine across cities like Hong Kong, Shanghai, Guangzhou and Beijing, more so than French and much more than Spanish restaurants. These are easy channels through which Italian wines can be introduced, promoted and expanded. But this never materialized. Despite both cultures being family-oriented, ceremony-loving ancient civilizations that are truly food-obsessed, the Italian wine culture didn’t cross over. 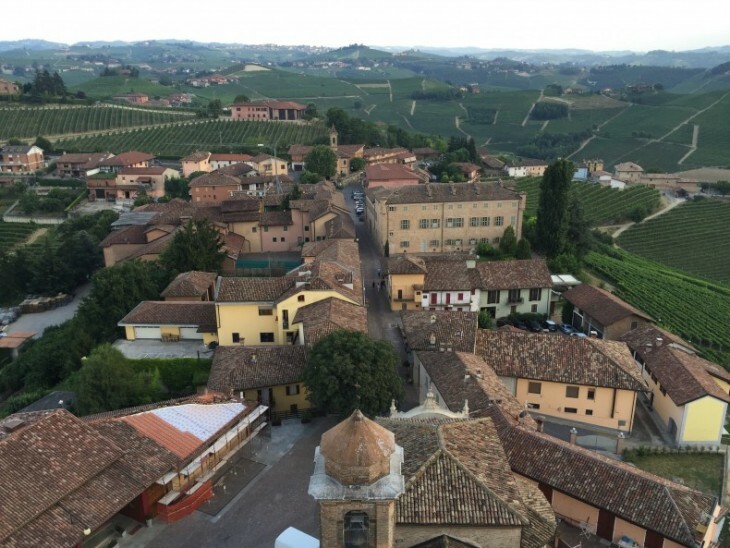 When I was in Piedmont last month, in March 2016, I spent some time with Federico Ceretto whose family successful built the Ceretto brand as an early mover in the United States. “When I go to Hong Kong and China, I visit my importer and I spend a lot of time with sommeliers and F&B Managers,” Ceretto explained to me. “We are very active in Hong Kong and China – it is a very important market for us and I personally try to visit regularly.” Despite these efforts, growth is slow. On your last trip to Hong Kong, did you visit any Cantonese restaurants, I ask. “I don’t have time to enjoy Chinese food, though I love it very much, because I am so busy during my stay hosting meals at Italian restaurants and visiting my existing customers.” Bingo. That is exactly why Italian wines do not become more popular, because the producers and the promoters stay within their comfort zone of Italian restaurants, Italian sommeliers and Italian specialized importers. They target those who already know and are familiar with Italian wines. Spanish wineries were forced to market in spaces formerly occupied by French wines because they didn’t have the restaurant channels as an option. There were no Spanish sommeliers to help them spread their message. In Hong Kong, Italian wines dominate the wine list of restaurants like Otto e Mezzo and Grissini. However, Italian restaurants make up a tiny fraction of the restaurants in Hong Kong and Italian wines are not moving much beyond these comfort zones. It is too ingrained in people’s minds that Italian wines only belong in Italian restaurants and importers and winery owners are perpetuating this perception. In the upper and mid-range wine categories, where Italian wines have a plethora of options, it isn’t Chiantis, Barberas or Valpolicellas that are filling the demand but Spanish Riojas and other Tempranillo reds with sweet oak flavors and supple tannins. It was always going to be tough competing against the French who had a head start and enjoy distribution relationships that are now three to four decades old. The French have cleverly marketed wine with a sophisticated, aspirational image in Far East Asia even for wines under US$10 a bottle at the generic Bordeaux level. There are plenty of exotic Aglianicos and full-bodied Nero d’Avolas from Italy that would give these French wines a run for the money. But there hasn’t been a seismic shift in country allegiance, despite many Chinese having lost a lot of money on poor Bordeaux wine future investments in recent years such as for the 2010 vintage. France still remains the uncontested number one in China and Hong Kong with over 40% of the market share.